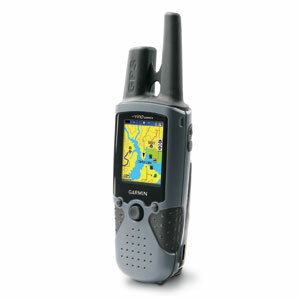 Know exactly where you are at all times with Rino 520HCx and the precision of high-sensitivity GPS. 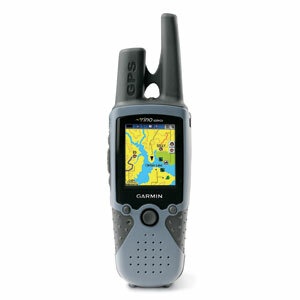 This water resistant FRS/GMRS radio plus GPS navigator sports 5 W of transmit power, a microSD™ card slot and brilliant color display along with a high-sensitivity GPS receiver — so you’ll never be lost again. With its high-sensitivity GPS receiver, Rino 520HCx locates your position quickly and precisely and maintains its GPS location even in heavy cover and deep canyons. The advantage is clear — whether you’re in deep woods or just near tall buildings and trees, you can count on Rino 520HCx to help you find your way when you need it the most. Like the rest of the Rino series, Rino 520HCx offers a unique position reporting feature. Position reporting lets you send your exact location to other Rino users in your group so that everyone can see your position on the map page. And, because Rino is a standard FRS/GMRS radio, you can use it to communicate with any other conventional FRS/GMRS radio around. Rino 520HCx boasts a whopping 5 W of transmit power (GMRS), which lets you contact others from up to 14 mi away (line of sight). 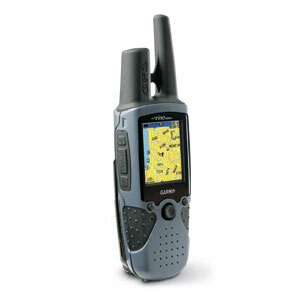 In Canada, you can transmit at 2 W over GMRS with a range of up to 8 mi. Bold color TFT display makes it easy to see and navigate to family or friends at an amusement park, lake or other outdoor group activity. microSD card slot accepts preloaded MapSource® data cards with detailed maps. Automatic routing and turn-by-turn directions with alert tones let you find an address or point of interest and drive there (with optional MapSource map data). Rechargeable lithium-ion battery provides up to 14 hours of outdoor use.